So I entered another design to Threadless. Threadless have a rolling competition that you can enter your designs to and get the Threadless community to vote and comment on your stuff. It’s lots of fun, and helps other people get to see your stuff, which may help you build a following and possibly sell somethings. I entered the design below this time, which unfortunately is anatomically backwards, but never mind.This is the photoshopped, finished off collage of this piece here. I’ll write a blog soon about how I got there. If you click on the link here it should take you through to my entry, where you could vote for it, if you wanted to. 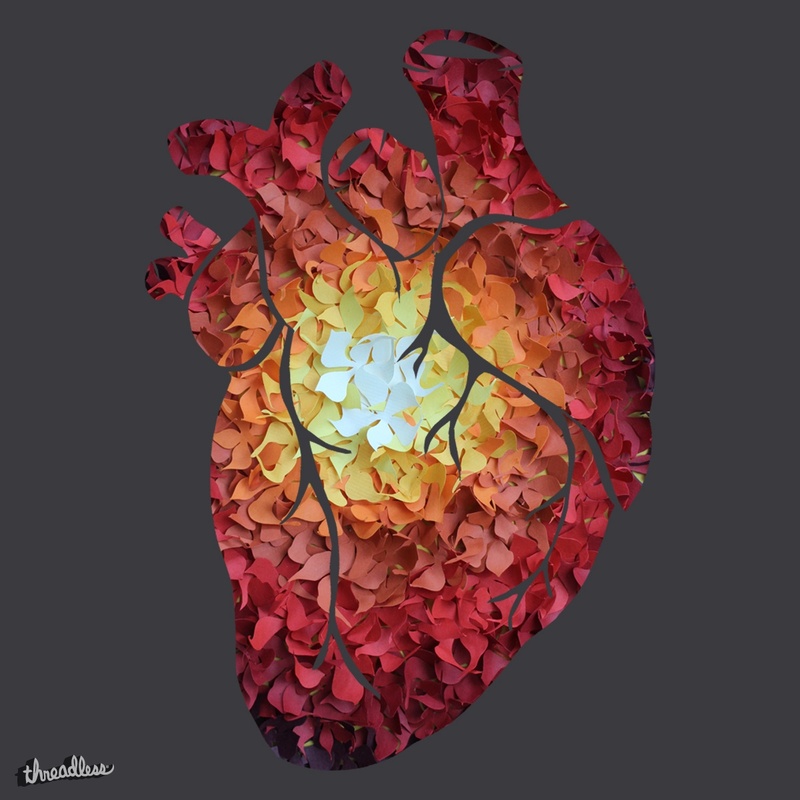 This entry was posted in Art, Craft, Online buisness and tagged Art, blooms, blossom, blossoms, collage, design, flowers, heart, mixed media, Paper, paper blossom, paper flowers, photoshop, sunshine, Threadless. Bookmark the permalink.